Exploring new findings on the great myths of civilization, this fascinating book chronicles the most notorious unexplained mysteries in history. Questions such as Was there really an El Dorado? Were the Freemasons a cover for the Illuminati? and What happened to the riches of the czars? are discussed in detail. Mysteries surrounding the fabled treasure of King Solomon, the true development of the Trojan War, and the genesis of the voyage of Columbus are analyzed and investigated in this captivating analysis. Explorando los nuevos conocimientos sobre los grandes mitos de la civilización, este fascinante libro narra los misterios inexplicables más notorios de la historia. Preguntas como ¿Existió realmente un El Dorado? ¿Fueron los masones una pantalla para el Illuminati? y ¿Qué pasó con las riquezas de los zares? se discuten en detalle. Misterios como el legendario tesoro del Rey Salomón, el verdadero desarrollo de la guerra de Troya y la génesis del viaje de Colón se analizan y se investigan en este análisis cautivador. 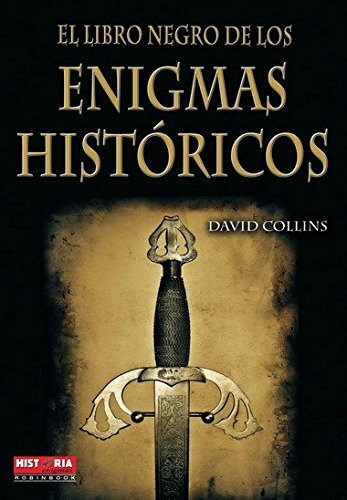 David Collinsis a respected researcher and the author of numerous articles in the field of unexplained historical mysteries."